GM CEO Mary Barra on Thursday made her most comprehensive remarks yet on the company's handling of the ignition switch flaw. She called it a "fundamental failure" and spoke about the findings of an internal investigation conducted by former U.S. Attorney Anton Valukas. 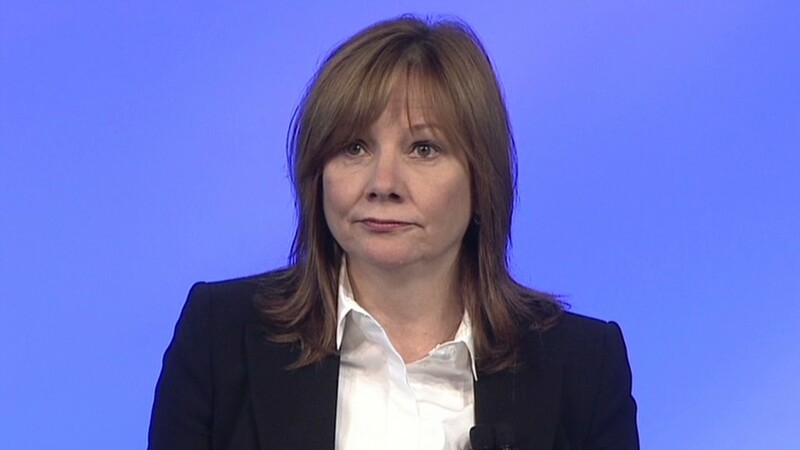 Barra first addressed General Motors (GM) employees in a town hall meeting, then took questions from reporters in a news conference. Here are the seven key quotes from her remarks. "I realize there are no words of mine that can ease their grief and pain. But as I lead GM through this crisis, I want everyone to know that I am guided by two clear principles: First, that we do the right thing for those who were harmed; and, second, that we accept responsibility for our mistakes and commit to doing everything within our power to prevent this problem from ever happening again." "What the Valukas investigation uncovered -- in this situation -- is a pattern of incompetence and neglect. ... Unfortunately, the report found, these seemingly benign actions led to devastating consequences. In short, we misdiagnosed the problem from the beginning." "The Valukas report (concluded) that there was no conspiracy found and there was no employee that made a trade off between safety and cost." "If you look at the root of this issue, first off you had a part that was released to go into production that didn't meet the performance requirements, and then sadly, when the problems first occurred, they were misdiagnosed. They weren't deemed a safety issue because engineers didn't understand the relationship between the switch and the circuitry that deploys the airbag." "Fifteen individuals, who we determined to have acted inappropriately, are no longer with the company. Some were removed because of what we consider misconduct or incompetence. Others have been relieved because they simply didn't do enough: They didn't take responsibility; didn't act with any sense of urgency. Disciplinary actions have been taken against five additional people as well. With these moves, I feel we have addressed the personnel issues in this matter." "Numerous individuals did not accept any responsibility to drive our organization to understand what was truly happening. The report highlights a company that operated in silos, with a number of individuals seemingly looking for reasons not to act, instead of finding ways to protect our customers." "The compensation program is directed specifically at this situation because we believe there was a unique series of mistakes that were made over an extended period of time."